2009 debut release from the Forth Worth-based band. In the mundane world of local law, a Green River Ordinance prohibits door-to-door sales without a homeowner’s prior permission. 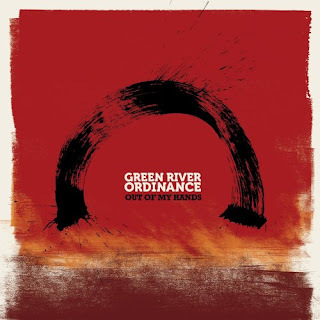 Fortunately, the band Green River Ordinance needn’t rely on such pedestrian peddling to sell its wares: their catchy anthems have drawn listeners on their own. The only door-to-door action is purely word-of-mouth, as one fan tells another what they’ve found. Now, listeners everywhere will be able to discover what people in Fort Worth already know. The band spent a year writing and perfecting the songs and then another eight months recording with producers Mark Endert (Natasha Bedingfield, Maroon 5, Gavin DeGraw), Jordan Critz, and Paul Ebersold (Sister Hazel, 3 Doors Down, Third Day). GRO has always had a strong vision about what they wanted to do musically, and are thrilled to see it finally come true.